1. 3.1: Why use peer review? 5. 4.1 What Is Revision? 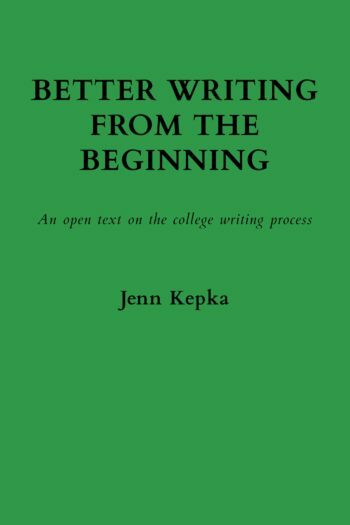 Better writing from the beginning by Jenn Kepka is licensed under a Creative Commons Attribution 4.0 International License, except where otherwise noted. Unless otherwise noted, all content herein is released under a Creative Commons — Attribution International 4.0 license by Jenn Kepka.